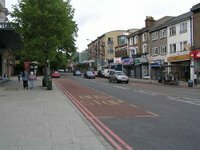 A review of opportunities to reconfigure Forest Hill town centre will be presented at Forest Hill Ward Meeting at Sydenham Girls' School at 7.30pm on Tuesday 27 June. In consultation with the Forest Hill Society, Discourse Architecture propose that currently under-used sites around the station should be developed as part of a coordinated vision, which improves the environment for local residents and businesses. They argue that without a new approach unsatisfactory piecemeal development will continue unchecked. 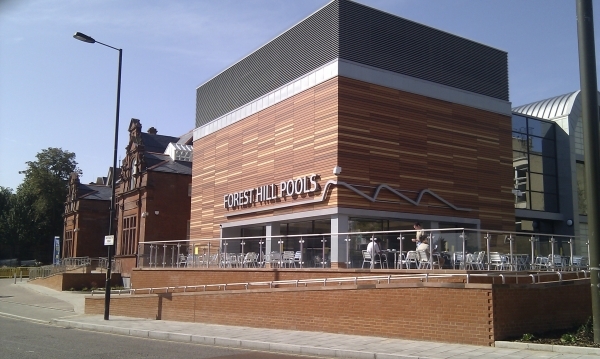 As part of their study they have researched the history and development of Forest Hill, from the short-lived canal, which was replaced by the railway, and the three stations of increasing magnificence to the current unprepossessing station, built after bomb damage to the last Victorian station. Discourse Architecture, who include local resident Simon McCormack, Michael Badu and Italian architect Bruno Tonelli, have prepared the proposals out of a sense of frustration that the absence of an ambitious strategy is creating a vacuum and that a once-in-hundred-years’ opportunity to improve the town centre will be lost. View a map with all the images here. Public feedback is invited on the proposals, which can be viewed above, in an exhibition at Forest Hill Library from 28 June to 6 July. It is proposed to incorporate the feedback in a revised proposal that can be taken forward for consultation with Lewisham Council, TfL, Railtrack and other interested parties. Hi. The slideshow won't work in Chrome on my Android smartphone (Samsung Galaxy S7 - so not and old one. Any chance you can add a link to a PDF of the slides, or something like that? Love the gist of the proposals, by the way. Hi Michael. Able to view the slides with that link. Thanks. They are a bit fuzzy, though. May need to try on desktop. From what I can tell, the designs all look massively positive and woukd be wonderful if anything like this could be achieved. I see a fair amount if new commercial are residential property will be created. Is the idea that the project would be self-funding by means of selling or renting out these new properties? Simon (Discourse Architecture) here. Hi David - we anticipate that the scheme will be self-financing, with the opportunity for station improvements to be supported by funding from TfL. In the Autumn, once we've had feedback from local people on the proposals we will start consultation with stakeholders and investigate how to take the proposals forward.